BP Trinidad and Tobago LLC (bpTT) has started up the Trinidad Onshore Compression (TROC) project – one of seven major upstream projects BP expects to bring online in 2017. BP Trinidad and Tobago operates in 904,000 acres (356,836 ha) off Trinidad’s east coast and has 13 offshore platforms and two onshore processing facilities. The Trinidad Onshore Compression project will increase production from low-pressure wells in bpTT’s existing acreage in the Columbus Basin using an additional inlet compressor at the Point Fortin Atlantic LNG plant. Additional upgrades will be made to bpTT’s upstream facilities, as well as those of third parties to accommodate operations of the compressor. Full start-up will take place over the next few months. When fully on stream, the onshore compression facility will have the potential to deliver approximately 200 MMscfd (5 x 106 m3/d). 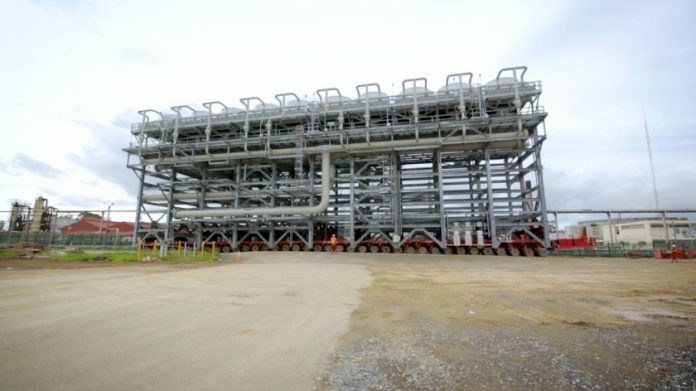 The facility is expected to improve production capacity by increasing production from low-pressure wells in bpTT’s existing acreage in the Columbus Basin using an additional inlet compressor at the Point Fortin Atlantic LNG plant. “Delivered on-time and on-budget, this major infrastructure project is part of BP’s plan to bring 500,000 barrels a day of new production capacity online by the end of 2017 and paves the way for Juniper, our other major project start-up in Trinidad and Tobago this year,” said Bernard Looney, chief executive of BP’s upstream business.